The court fixed the matter for February 19 next year and said the government should place its stand then. 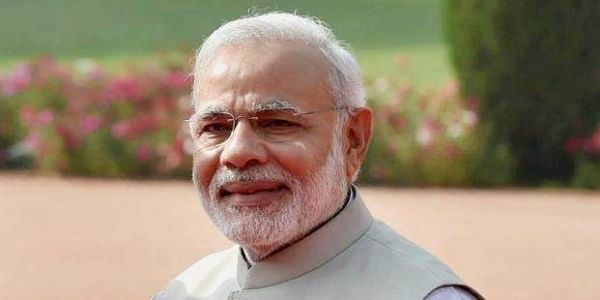 NEW DELHI: The Delhi High Court today sought the response of the Centre on a plea to ban the use of photos of persons holding constitutional posts, including the President and the Prime Minister, in private advertisements. A bench of Acting Chief Justice Gita Mittal and Justice C Hari Shankar also issued notice to the Press Council of India, a statutory body that governs the conduct of the print media, on a plea which also sought evolving of guidelines for private advertisers. Taking note of the petition filed by Delhi resident Ajay Gautam, the bench directed central government standing counsel Anil Soni to place before it the policy in this regard. The counsel said the government was taking cognisance of the issues and appropriate steps will be taken. Citing various newspaper advertisements of private companies, Gautam in his plea said the use of pictures of the President, the Prime Minister, Governors and Chief Ministers in classified ads misguided the public at large. "... such advertisements claim support of the persons holding constitutional posts. In this manner, lakhs and crores of citizens are exploited by such ads which depict messages and photos of the persons holding constitutional posts," the plea said. While arraying a daily national as party to the petition, the plea alleged that the newspapers or broadcast agencies have offended the standards of journalistic ethics.